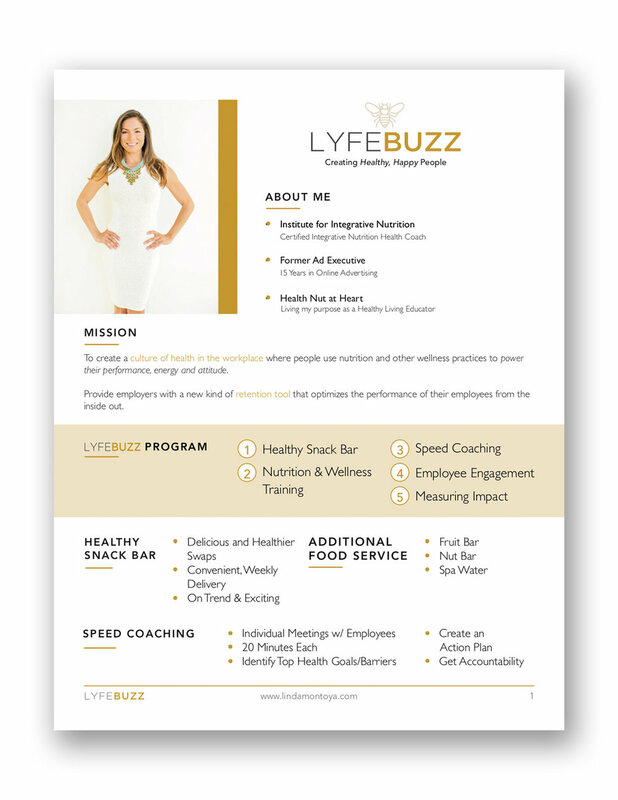 For LYFEBUZZ founder and health coach, Linda Montoya, I was able to flesh out her brand a bit more through presentation design and templates, accompanied by a beautiful new website layout. 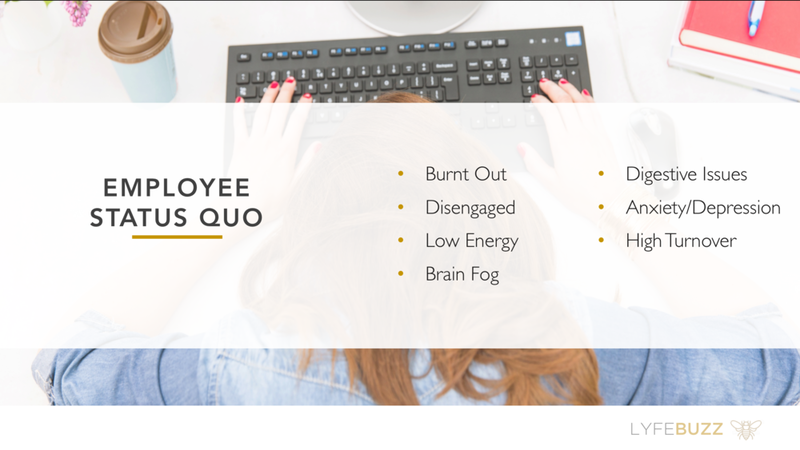 Linda sent over a pretty basic PowerPoint Presentation that needed some branding to be applied and the last little push to be made to give it that professional look. Everything was saved as a template so she could easily modify depending on her audience. Linda wanted the presentation information to be turned into a one-sheeter handout. 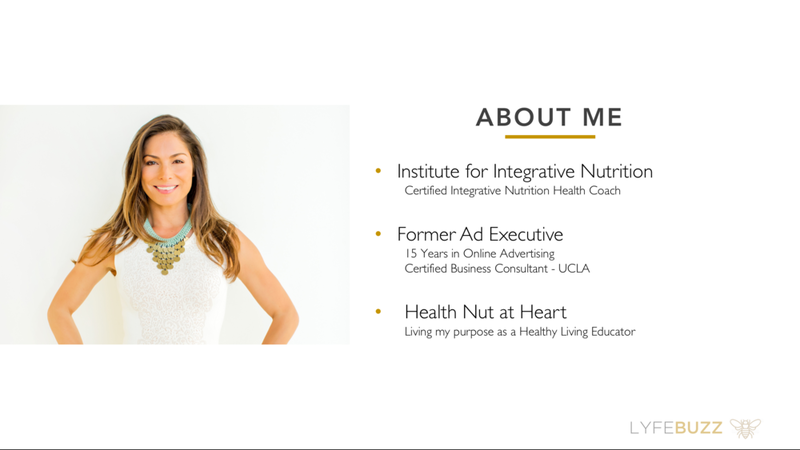 This was to make it easy to get all the information in-person to potential clients. 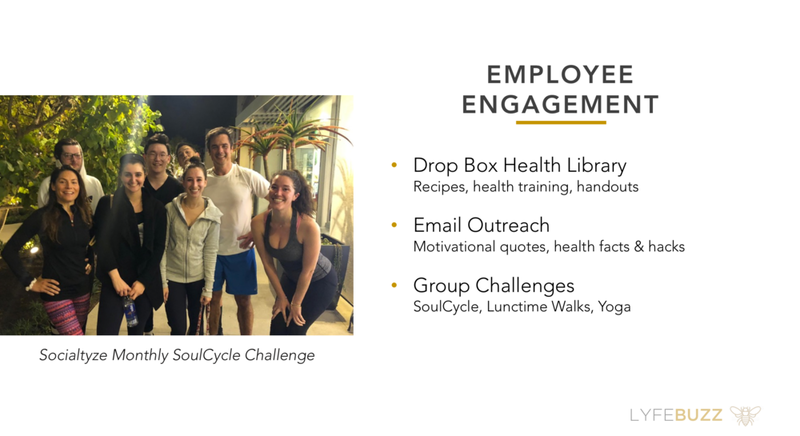 With Linda's particular service she also wanted to put together a case study to show how well her program works. Her client, Socialtyze, was the perfect example. We put together the results from her program on a single unlinked web page that she can send out to potential clients.